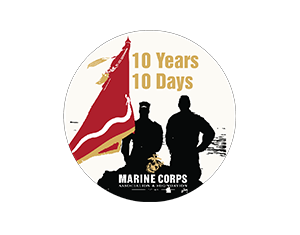 The Marine Corps Association Foundation celebrates it’s 10th anniversary on April 30. Run or walk as many miles as you can between April 30th and May 9th to celebrate the Foundation’s anniversary and the hundreds of thousands of Marines who have benefited from MCAF Program. The first 300 registrants will receive an exclusive event pin. The registration fee is $25. This is a virtual challenge where you can run/walk any time, anywhere to complete the mileage from April 30 – May 9. Use #EveryClimeandPlaceChallenge on social media!